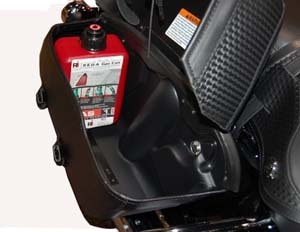 Add 35-40 miles to your ride! 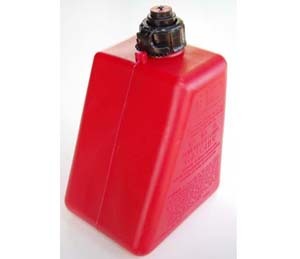 RDA-1,2: Ever have that sick feeling of running out of gas at 1 am in the morning and don't know where the next gas station is? FINALLY there is some really cheap insurance to this dilemma. 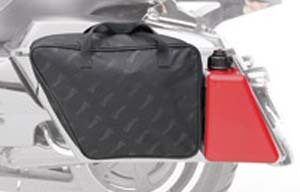 The "Saddlebag Gas Can" is designed specifically for your Harley Davidson saddlebags. 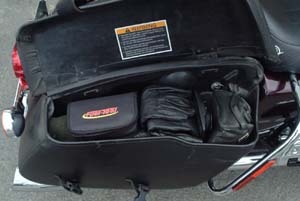 It fits in the left and right side of HD hard bags and leather bags. Your riding pleasure and confidence goes way up knowing you have an extra gallon of gas sitting in your bags in case of that possibility of running out. The number one worry of most riders is how much gas do I have and where is the next gas station? Those days are OVER! 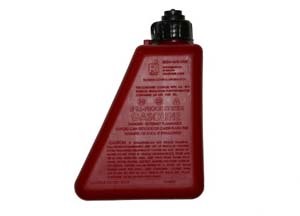 The Patented Gas Can holds an impressive one gallon of gas and thereby extending your ride up to 35-40 miles. Put one in each saddlebag and you can go an amazing 70-80 miles down the road! Custom made to fit perfectly right in that back "hard to reach" corner of the bag, it takes up hardly any space at all. The self venting spout with automatic shutoff feature stores inside the can. 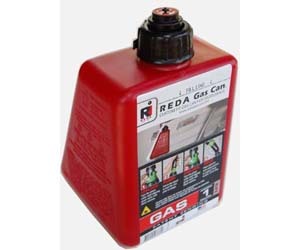 The RDA-1 Gas Can is EPA and CARB certified in all states. Meeting these standards makes this gas can 100% VAPOR PROOF AND 100% SPILL PROOF! No need to worry about fumes or gas in your bags. Built to last a lifetime and made of the highest quality materials, the RDA-1 Gas Can will give you the confidence and piece of mind to REALLY enjoy the ride and not worry about where the next gas station is. 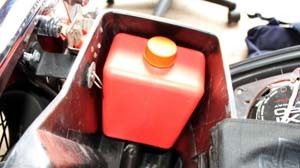 FDA-2: Single saddlebag gas can with specialized internal spout where it funnels the gas to a point. This eliminates the need for a tube; a very elegant design. Only 2 parts. Cap and can. Open and pour. 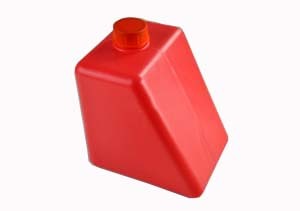 Holds 1 gallon. 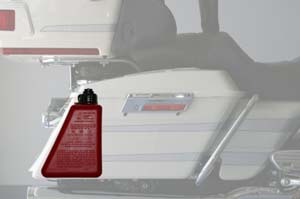 FDA-L: Single large saddlebag gas can with two opening and spouts. Holds 2 gallons for the longer haul. Put Freedom & Peace of mind back into the RIDE. 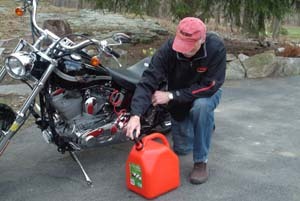 Be prepared for those times when you or your Buddy may run low or out of fuel while on a ride. 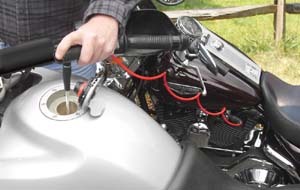 Quick, safe and easy way to transfer fuel from one bike to another without the need of siphoning, carrying or searching for fuel. 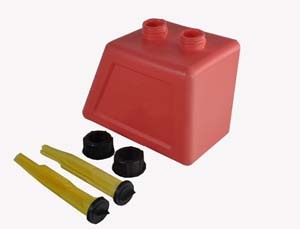 It also provides for a quick, safe and easy way to drain your tank. 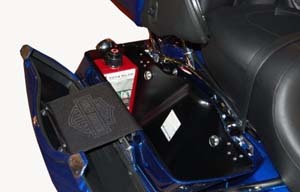 Fits all fuel injected Harleys® from 2001 and newer (except V-Rods®) come factory equipped with a Quick Connect Check Valve at the bottom of the Fuel Tank. 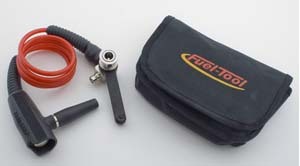 This Quick Connect is attached to the fuel line that sends fuel to the fuel injection that powers your engine. No tools required. No modifications or permanent attachments are needed to your bike. Entire connectioni and disconnection takes only seconds. Transfers fuel at a rate of roughly one quart very 20 seconds. Will not tall engine while in use. Comes complete with its own storage pouch. Small & compact size store anywhere. One year OEM limited warranty.